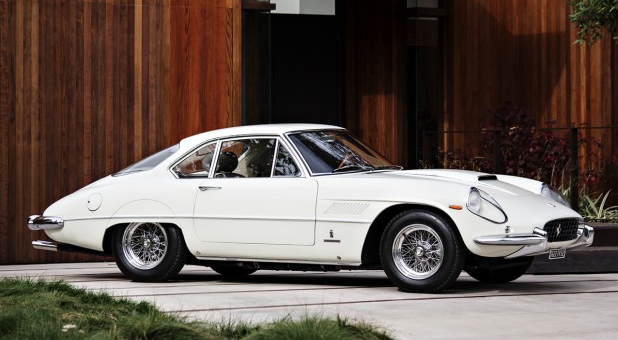 This Ferrari 400 Superamerica Aerodinamico is one of 14 short wheelbase versions ever built, with coachwork provided by Pinanfarina. Inspired by some of Ferrari’s competition cars, this particular model was designed to live up to its name: Aerodinamico. As well as the streamlined body, the 400 Superamerica was fitted with a 4.0-litre V12 engine, producing more than 320bhp. It also comes with a four-speed manual gearbox and Dunlop disc brakes all-round. The rarity and technical features came at a price: the Aerodinamico was even more expensive when new than a 250 GTO. This 1962 model is up for auction in Scottsdale on 16-17 January, courtesy of Gooding & Company with an estimate of between $4,000,000-$5,000,000.